Over 12 wineries are currently operating on the island, each one with different architecture and style. Even though the grape varieties are only a few, the winemakers are making sure their individual wines are distinct. Having been picked out among the most famous wines of the world, Santorini is proud to hold numerous awards for its wines. 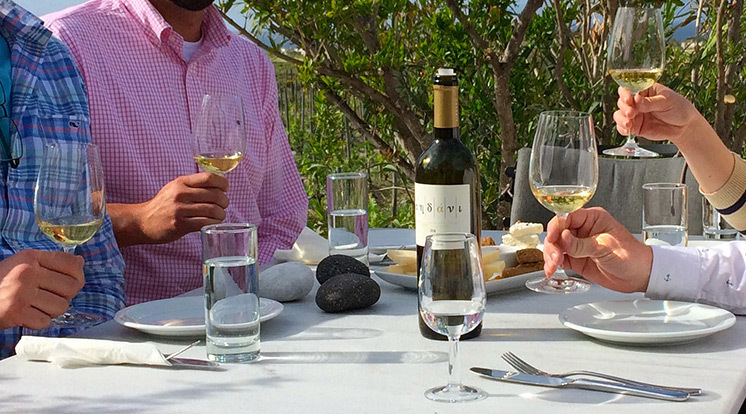 Assyrtico and Aidani, Mavrotragano and Mandilaria are varieties that will stay with you even when you leave Santorini and taste other wines of the world. The distinction and international recognition makes a winery and wine tasting tour very different than what you are used to, and one of the top things one should do on the island. Explore, discover and experience the terroir-driven wines of the island and learn about the wine history, native grapes, wine-making methods, basket-trained vines of one of the oldest vineyards of the planet, the gastronomy and the local products of this wondrous place. If you are interested in a private tour, please contact us directly giving us some information about what interests you and we will find the best suited wine tour for you! Walk in an old, phyloxera-free vineyard and become familiar with the ancient vine training method and the Santorini’s distinctive terroir. From March to October daily at 10.30a.m. & 4.30p.m. The price includes private guidance, transportation, all tasting and entrance fees. 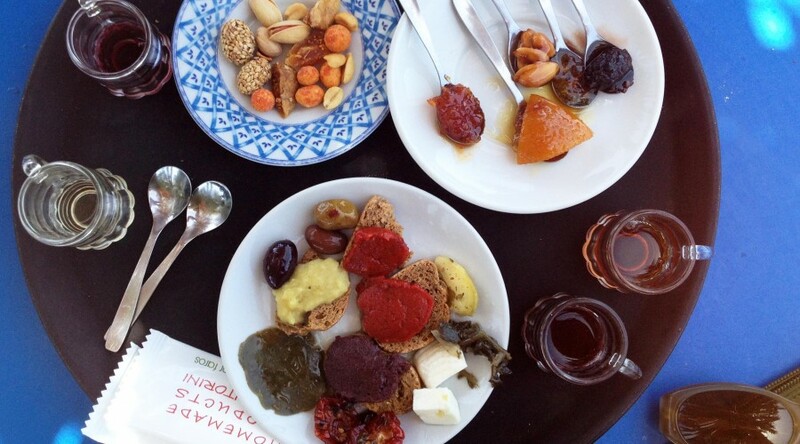 Learn about the food and wine culture of Santorini. 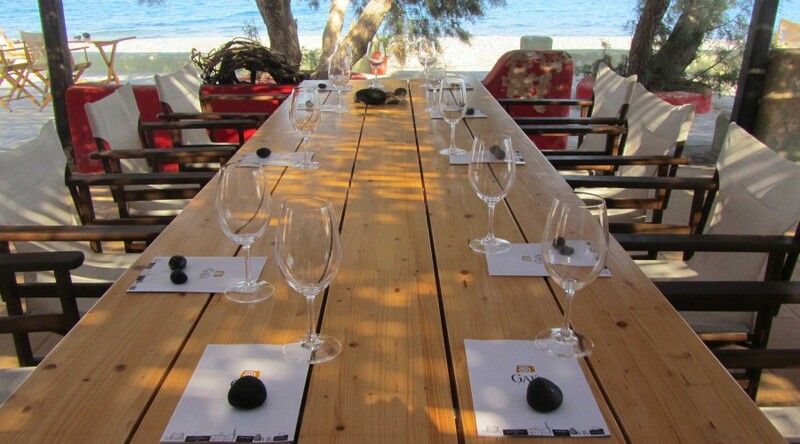 Visit 2 awarded wineries and taste all the major types of the volcanic wines of Santorini. Visit the Santorini Donkey brewery and taste fresh, unfiltered and unpasteurized beers. Visit the southerner edge of Santorini, Faros (the lighthouse), and enjoy a breathtaking view of the caldera. Take photos at spots with spectacular view and geologic interest and learn about volcanic activity and the dramatic history of the island. 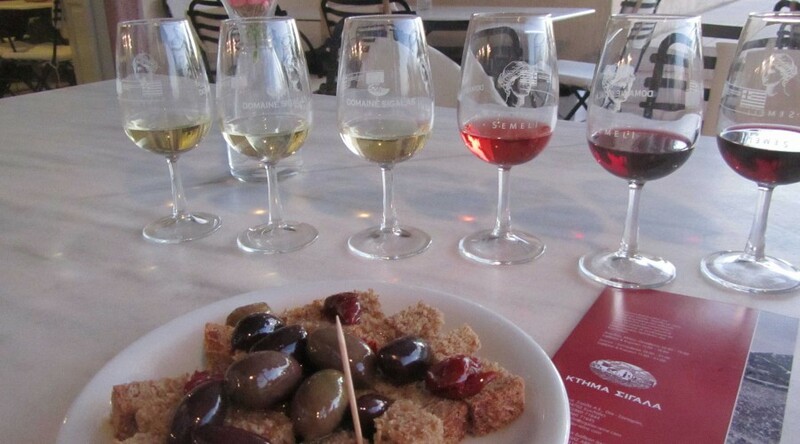 Visit an awarded winery, taste the major types of Santorini wines and learn about the wine history and culture, the native grapes and the wine-making methods. Walk in an old, phylloxera-free vineyard and learn about the ancient vine training method and the Santorini’s distinctive terroir. Visit a family owned farm and taste a selection of savory and sweet local delicacies. Ready to book? Just fill out our secure form below, giving us three date/time preferences and we will contact you to confirm your booking and give specific pick-up points and times.